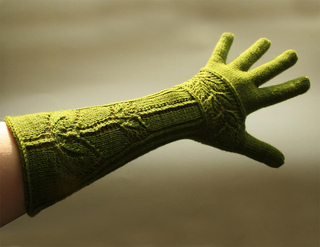 Guinevere is not your usual pair of gloves. Start at the tip of the thumb, follow her through lacy regions to the fingertips and up the arm. 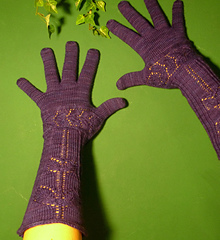 Learn a new way to knit gloves or tackle your fear to knit your first ever pair. 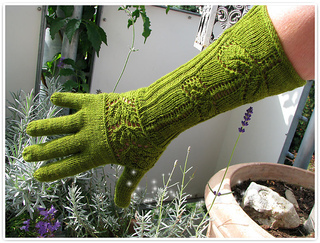 There is no better way to show off your knitting skills than a beautifully crafted pair like these and it’s also a handy way to use some treasured sock yarn that you can’t bear to wear out on your feet.